You want to go. We want to help. Help make your dream a reality. Not sure which school is right for you? that is the best match for you. A year in Israel is hugely beneficial, but it’s also very costly. The good news is there are many scholarship opportunities out there. We’ll help you navigate the options. Let Oorah be your support system in Israel. 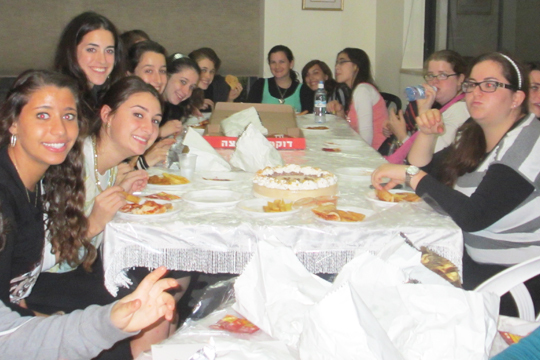 From ChillZone every week to placement for Shabbos and Yom Tov meals, we’ll be with you the whole way through. A year in Israel is hugely beneficial, but it’s also very costly. The good news is there are many scholarship opportunities out there. We’ll help you navigate the options. Oorah offers a significant scholarship to students affiliated with Oorah’s programs, TheZone campers, and Jewish public high school students. We also offer a monthly stipend to help cover living expenses. 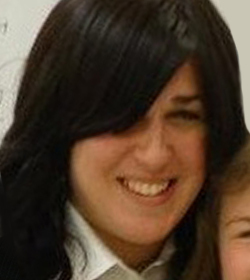 Attending a Discover U session the summer prior and following your year in Israel. Discover U is Oorah’s summer program for post-high school guys and girls hosted at TheZone, our magnificent campus in upstate New York. There are several Discover U sessions each summer of either two or three week trips. Weekly ChillZone attendance. At Chillzone’s Saturday night learning program, you’ll enjoy pizza, friends and fun all while learning and having a great time. 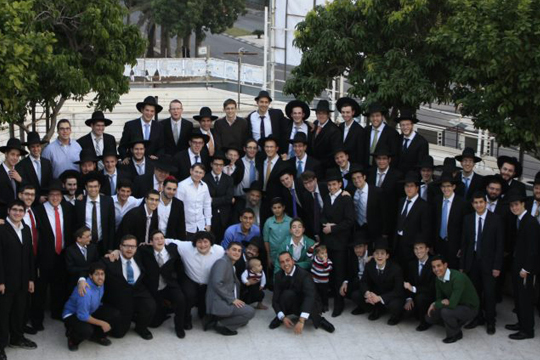 Participation in annual Shabbaton for Oorah students. There are many additional scholarship opportunities available to help fund your year. We provide this list merely as a resource for you and are not affiliated with nor take any responsibility for any of the programs listed here. Awards a limited number of scholarships each year on a competitive basis. Applications are due by February 15. Offers scholarships of $1000+ for yeshiva/seminary attendees from non-observant homes who currently attend public school or a non-denominational school. Call (718) 633-1620 for info. Offers need-based airfare and tuition scholarships for students to study at select yeshivas or seminaries in Israel. 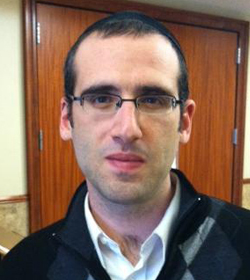 Email Rabbi Klatzko directly at sagewannabe@aol.com . 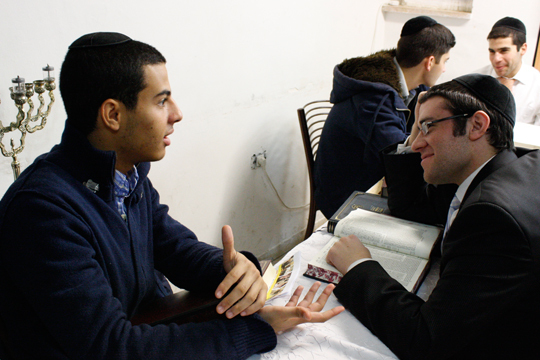 Helping students grow religiously and personally in their respective yeshivas and seminaries. The deadline to apply for a scholarship in February 16. May have scholarships available. Find your local federation Here > and CALL their office. Ask to speak with a financial aid director and ask if you are eligible to apply for any scholarships. Ask your rabbi if your synagogue or local Jewish organizations offer any financial assistance for students to study in Israel. May offer some kind of subsidy or scholarship as well. You’ll join a great group of guys who get together once a week to learn hard and play hard, hitting the study hall and basketball court with equal energy. Oh, and of course there’s always hot pizza too. You’ll join a warm group of fun, like-minded young women who get together every week to study and have fun, eat good food and hang out, enjoy each other’s company, laugh and sing and become close friends. Oorah offers a significant scholarship to eligible post-high school students heading to Israel for a year in yeshiva or seminary. We also offer a monthly stipend to help cover additional expenses throughout the year. Once a year, we throw a gala weekend event for all our students in Israel when Rabbi Chaim Mintz, Oorah’s beloved founder, leads a group of Oorah staff and volunteers on a trip to the Holy Land. Held in a posh hotel, the ShabbaZone is a great opportunity to spend an uplifting Shabbos with the Oorah community in Israel. 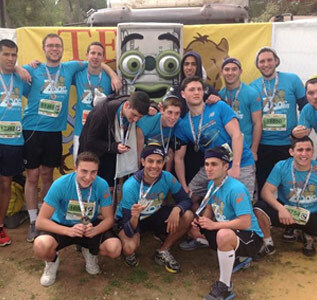 Every year, a determined and enthusiastic group of young men and women run in the Jerusalem marathon as Team ChillZone, raising money to bring more students to Israel. It’s a ton of fun and you’ll be paying it forward in the most remarkable way. 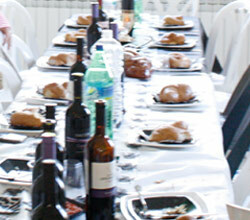 You’ll never be left stranded without a host for Shabbat or the Chagim. We’ll hook you up with one of our hospitable volunteer families for a meal or a place to stay whenever you need one. What will be with my college plans? A year in Israel does not have to come at the expense of college. Many colleges will allow you to defer enrollment for a year or even two, an option that is worth considering if you’ve already been accepted to a college you want to attend. Of course college is important for your professional future, but a year spent in Israel is an irreplaceable opportunity to gain a solid foundation for your personal development. 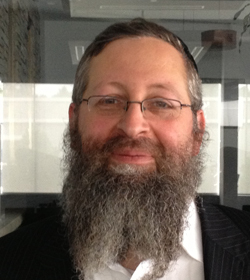 Many schools in Israel have programs which allow you to earn college credits for your yeshiva or seminary studies. Many universities will accept these college credits. Contact the yeshiva/seminary and college you are interested in attending to find out if this option is available. Will I have to take care of everything myself in a foreign country? The notion of leaving the comfort of your parents’ home for foreign territory may be daunting to you, and rightly so. But you will not be alone. 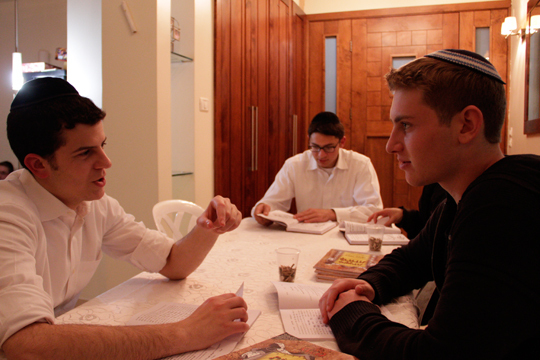 Both Oorah and the yeshiva or seminary you choose will be there to help you figure things out and get you settled. We can also help you with finding meals for Shabbos and Yom Tov. Some schools will provide you with nearly all your needs while others give you more independence. But either way, you’ll find that the experience of taking charge of your life is an invaluable preparation for the “real life” that comes afterward.